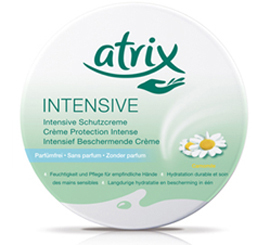 Atrix Intensive Protection Cream Perfume-free contains chamomile to provide your hands with the intense care and long-lasting protection needed against the harsh effects of everyday life. It forms a protective layer that helps smooth and soften rough, chapped hands even from the first application. Containing no artificial colors or added fragrances, it protects even the most sensitive skin without irritation.